LAHORE: A family court in Lahore on Monday ruled that actor Meera’s nikkah nama is not false and that she and Attiqur Rehman are lawfully wedded husband and wife. Family Judge Babar Nadeem dismissed Meera’s petition that her nikkah to Attiqur Rehman was forged and announced the judgement for the marriage suit which had been filed nine years ago by the film actress. Reading out an 18-page written verdict on Meera’s petition against ‘jactitation of marriage’, the judge ruled that “The nikkah nama is not false,” and that a nikkah khwan confirmed her nikkah to Rehman. 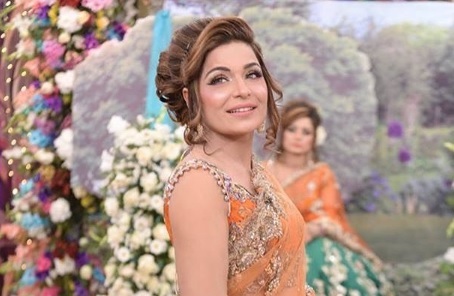 The court’s decision calls into question the legality of her alleged marriage to Captain Naveed whom she called her husband after a scandal erupted over the existence of a ‘controversial video clip’ featuring them both. Rehman, who claimed that he tied the knot with Meera on September 2, 2007, filed a case against Meera for marrying Captain Naveed without dissolution of her marriage to him. Arrest warrants were also issued for Meera in 2015 on an application filed by Rehman. However, in July 2009, Meera had requested a family court to restrain Rehman from calling her his wife and her legal counsel alleged that Rehman was blackmailing her. In her petition, she had told the court that she had not solemnised the marriage. She had further alleged that the nikkah nama produced by Rehman was a forged and there was no record of it in the union council concerned. Interestingly, in an interview last year, Meera claimed that she has never been married before and was about to take the plunge. Earlier this month, the actor announced that she is leaving the country and moving to the United States permanently.